Robust and designed for general purpose use, the Mountfield SP535 offers excellent value for money. This 51cm/20 inch cutting width rotary mower has been designed to give a quality finish on all lawns. Powered by a Honda GCV160 four stroke petrol engine. This mower is power driven. 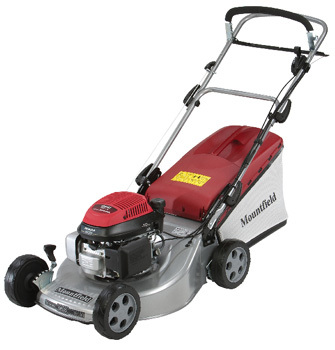 The Mountfield SP535 is suitible for larger lawns and semi-professional use.